This special Spring event takes place in the gardens of Epcot each year from March to May. 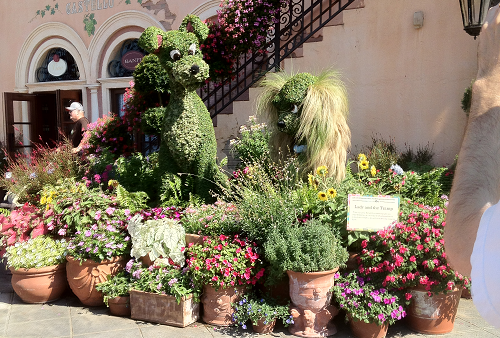 World Showcase and Future World are adorned with delightful flower displays and character topiary, including crowd favorites like Mickey, Donald Duck, and Tinkerbell. HGTV specialists visit Epcot during this time of year to conduct DIY seminars about indoor and outdoor designing, and their schedule can be found on Disney’s website. Also be sure to check out the Flower Power concerts performed each weekend.